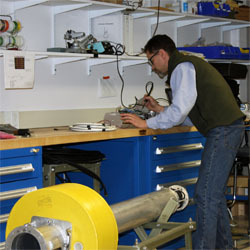 Located on UNH’s West Campus, the Jere A. 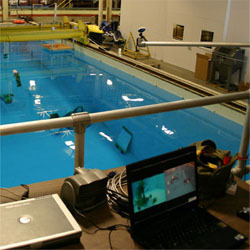 Chase Ocean Engineering Lab boasts state-of-the-art technology. An addition, completed in the fall of 2017, added 12,000 sq. ft. to the building. This expansion includes six large labs and office space for the new undergraduate ocean engineering program, nine new offices for Center personnel, and a new shared 80-seat amphitheater-style classroom. 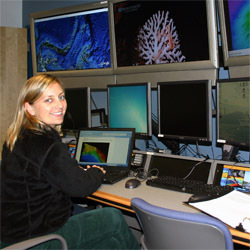 Facilities in Chase include acoustic and waveform test tanks, labs and highbays, and a host of research vessels for field research. 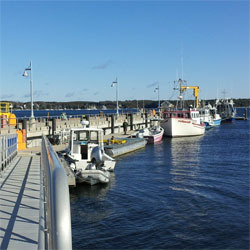 Only 15 miles from the Durham campus in New Castle, NH, the 325-foot Marine Research Pier provides berthing for UNH research vessels and access to the open waters of the Gulf of Maine.